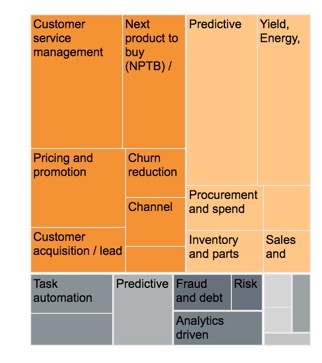 The images depict the potential value created by AI artificial intelligence and other analytics techniques for 19 industries and nine business functions. 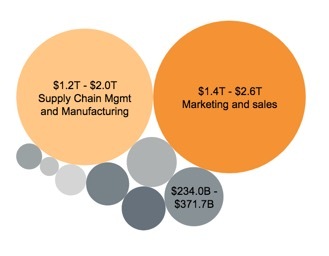 This data visualization shows the potential business applications and economic value for a range of analytics and artificial-intelligence (AI) techniques. It is based on a study of more than 400 use cases, covering 19 industries and nine business functions. Click on image for complete story.